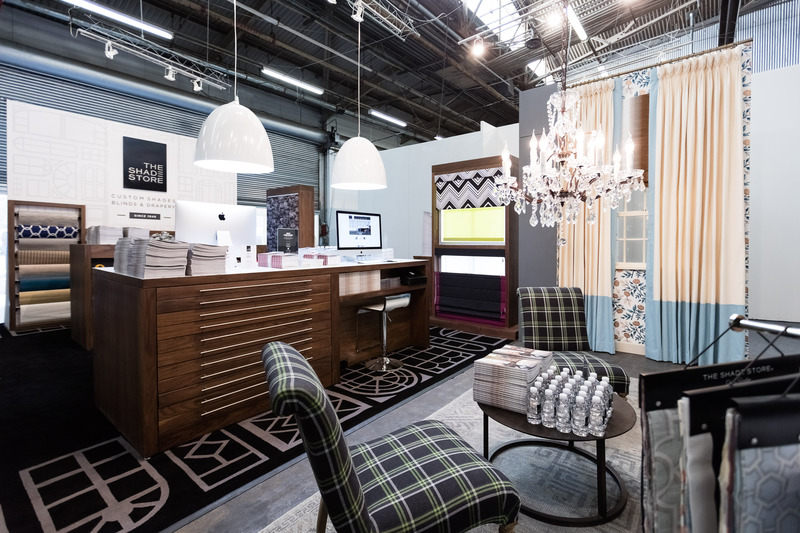 We were very excited to have a booth at this year’s Architectural Digest Design Show, which took place on March 17-20 at Piers 92 and 94 in New York City. The show was a record breaker with nearly 45,000 attendees! Overall, the show was a great success. We had the chance to talk with many people who were working on renovations projects or had just purchased a new home, and were all in the market for new window treatments. 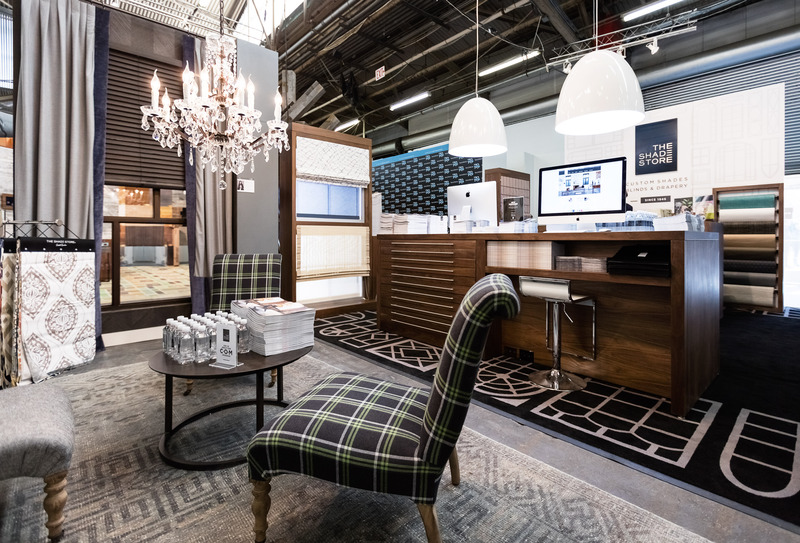 Our design partners Villalobos Desio and Tilton Fenwick helped us create a stunning booth, each designing a “living room” wall, shown in the photos below. More than 100 people attended our Meet and Greet Cocktail Party with the designers, and everyone loved seeing the installations. On Sunday, March 20, our very own co-founder Zach Gibbs participated in the “Windows and Walls Today” panel sponsored by The New York Times. 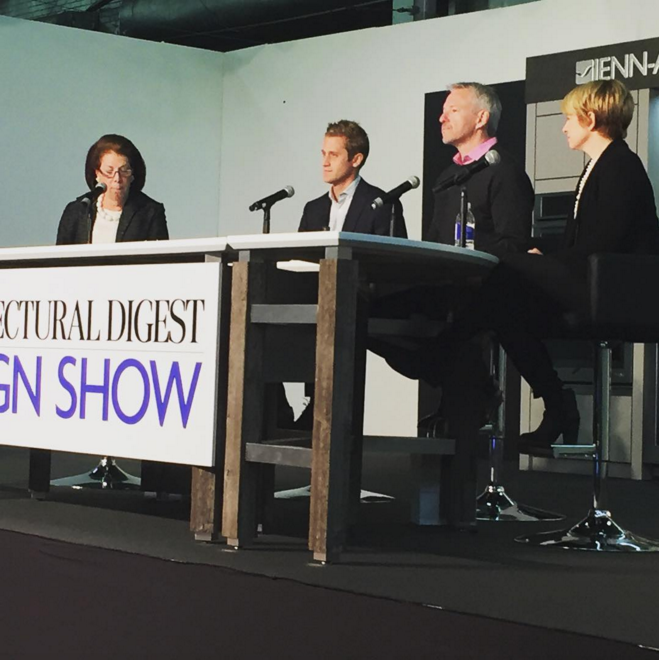 Also on the panel were Christine Haney of Farrow & Ball and interior designer William McIntosh. Zach spoke about how window treatments and their needs have evolved over the years. Instead of just looking for window treatments for style or for privacy, people are now considering both. 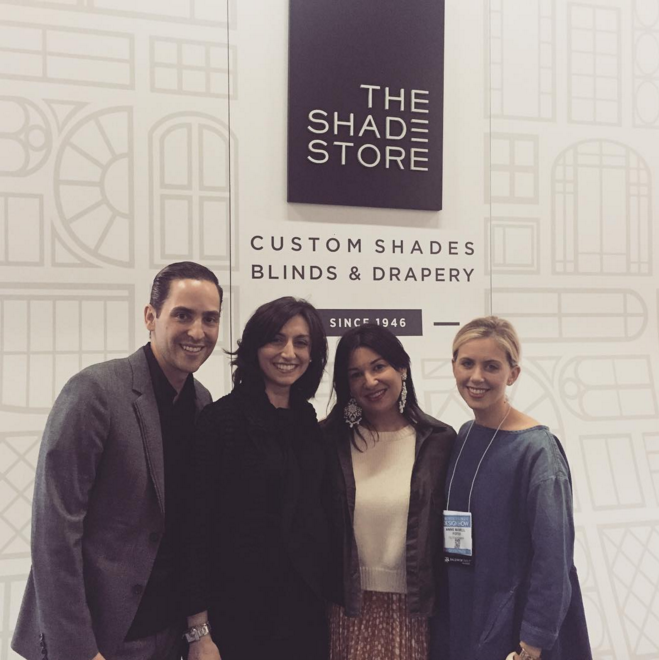 When working with The Shade Store, we can provide customers with both function and beauty. Whether your priority is light control, privacy, or temperature control, we can address the issue and give you a window treatment that looks great as well. Thank you to everyone who visited us!